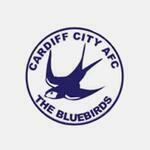 Cardiff City Football Forum | Cardiff City FC Messageboard • View topic - Team for Bournemouth ??? Now that the transfer window is shut, attention turns to the first game. How would you lineup and who would you pick ?? My preference for Bournemouth would be a 5/4/1 playing with wingbacks and wide players. What would your choice be ?? Re: Team for Bournemouth ??? Risk but its how I'd line up. I don't expect warnock to line us up like this mind. I just hope it's not 5 at the back, we always seem to struggle. tonythomas wrote: Now that the transfer window is shut, attention turns to the first game. How would you lineup and who would you pick ?? Would probably go with something similar, except swap Cunningham for Bennett at centre-half, he's a better defender in my opinion. Maybe Zohore for Reid and bring Reid on 60 minutes to run them around. Don't think camarasa will be in the mix as he won't have had enough time to gel with the rest of players. Gringo22 wrote: Don't think camarasa will be in the mix as he won't have had enough time to gel with the rest of players. I like that team. A bit of a gamble playing Paterson as a DM but it could work although I think NW will go with Bamba in that position. The way Bouremouth pass it about his energy maybe of use. I hope your wrong especially set up like that we got no chance. Not even Slade would pick that team.